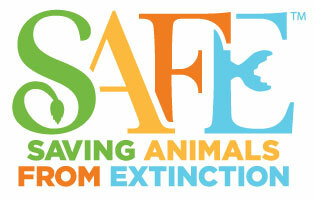 Your donation will support SAFE: Saving Animals From Extinction, helping the AZA-accredited zoo and aquarium community protect imperiled species. If you want to designate your donation to a specific SAFE species, please contact AZA at safe@aza.org and we will assist you with your donation. Are you interested in receiving information about becoming a member of the Association of Zoos & Aquariums (AZA)?